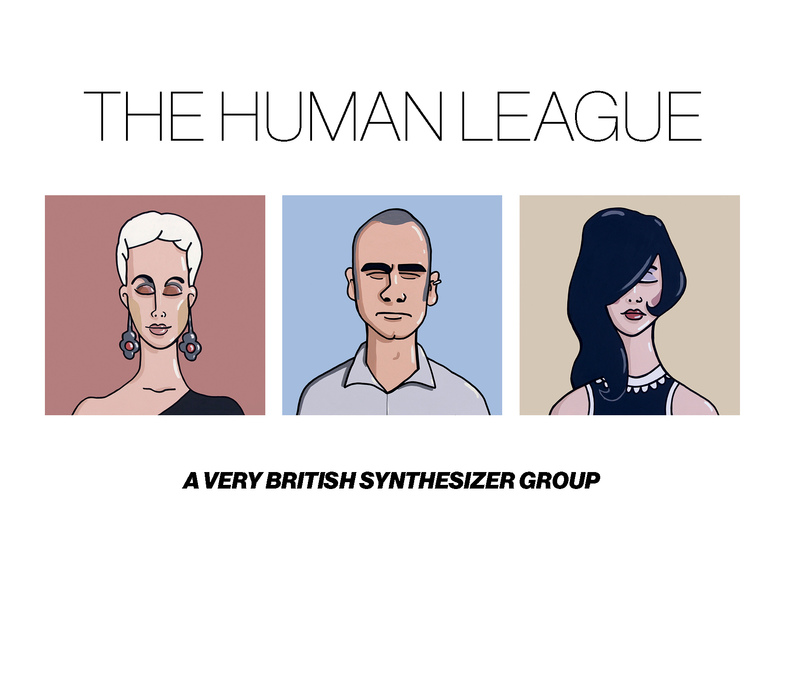 The Human League began as an experimental electronic synth group in the late ’70s but ended up–thanks to a personnel makeover– as pop superstars of the Second British Invasion of the early ’80s. This unlikely career path of one of the most popular British synthpop groups is chronicled on this latest 2-CD compilation, which comes on the 35th anniversary of the Human League’s breakthrough album Dare. The early tracks on disc 1, starting with the sparse and stark-sounding “Being Boiled,” positioned the League as another Kraftwerk-sounding group with elements of Berlin trilogy-era Bowie and Eno. Then original members Martin Ware and Ian Craig Marsh left and later formed Heaven 17, leaving Philip Oakley as the main guy. From there on, the group made a game-changing move by adding two female singers Susan Ann Sulley and Joanne Catherall, and the rest became history as the Human League released Dare, which spawned the smash hit single “Don’t You Want Me.” That iconic track is incluced on A Very British Synthesizer Group along with other hits and signature songs like “(Keep Feeling) Fascination,” “The Sound of the Crowd,” “The Lebanon,” and “Mirror Man.” The group briefly changed direction into funky R&B by 1986 by using producers Jimmy Jam and Terry Harris, hot off their work with Janet Jackson, that resulted in the band’s second number one hit “Human.” In addition tot he well-known songs, AVBG also spotlights some lesser-known tracks – some of which are previously unreleased or presented in remixed form–for American listeners who only know the group through Don’t You Want Me, like the brilliant “Heart Like a Wheel,” “Tell Me When,” “One Man in My Heart,” and to their last single “Sky” from 2011. Aside from the bubbly and percolating synths, the key part of the League’s sound is the between Oakley’s baritone, deadpan singing and the wistful beautiful elegant of Sulley and Catherall. Despite the personnel changes over the years within the League, the three remain the focal point of the group. As the proof provided by this release–the most career encompassing set to date—the League still continues to be visible and viable.